Entrepreneur shares interesting insights about a business specifically for babies. 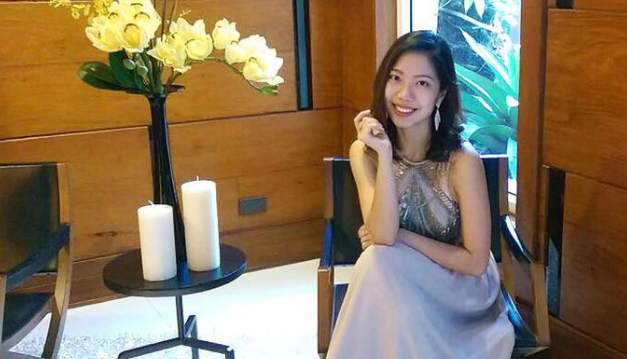 Geraldyn Perez named her company Crescom Biomedics to be a reminder of how she took a leap of faith to pursue her dream. Cresco is “to grow, to spring forth” in Latin. Biomedics was added as a second name to convey that all her maternity and baby products are carefully curated, based on real science and not mere marketing gimmick. She shares her insights about using her past workplace experience in Unilever to ensure marketplace success of her new products. Question: You are still young and single. What got you interested in baby and mommy products? Answer: When both my sisters got pregnant and gave birth at almost the same time 2 years ago, I was part of their audience as they ranted about the difficulties of finding good quality baby and maternity essentials locally. Even some imported brands available in the Philippines are overpriced but can do so much better in terms of quality. So clearly, for moms like both of my sisters, there were still gaps in the market that I could serve. Q: What did you do to know the unmet needs of moms and infants? A: Coming from those gaps, I validated with other moms (friends of my sisters) if they were also dissatisfied with the same products in the market. True enough, many of them were only settling with available brands (like breast milk bags), but were open to switching if a better alternative was given to them. For other brands (like Belly Armor and Spiffies wipes), these have very good reviews abroad but are totally new categories here that had high interest during interviews. After countless retail and online store checks to see which categories were already saturated, I decided to shortlist the first batch of brands to make available to Filipino moms. Q: Your company is new. How did you convince Honeysuckle milk bag to make your company the exclusive distributor in the Philippines? After one year of being in business, can you tell us what you have achieved so far? A: I think business is a combination of opportunities and preparedness. You have to be ready when an opportunity opens up to you. When I found Honeysuckle online, it was and continues to be the top-rated breastmilk bag brand in U.S. forums and in Amazon. I sent an email to express my interest to bring in the brand. Fortunately, they were looking to expand overseas at the same time. While I had no experience importing and distributing products, my previous experiences in corporate and in my sister’s aesthetic machine business, plus my vision on how to make the brand big in the Philippines convinced the owner to take a bet on me. In fact, I was their very first distributor! After one year of being in the business, our brands are now available in top baby specialist stores and used in top hospitals such as St. Luke’s Medical Center and Asian Hospital. 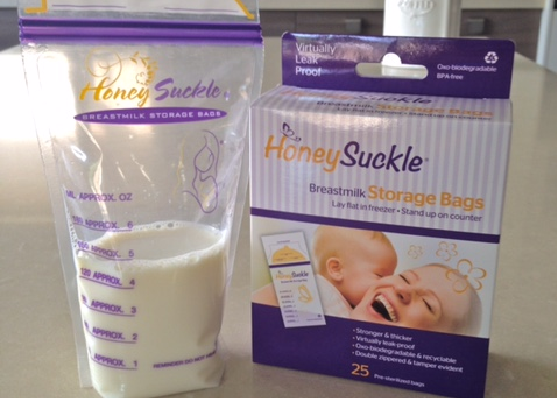 Honeysuckle is the most recommended brand for breastmilk storage based on mommy forums. We have since been featured in several blogs, reviews, magazines and television (ie. KrisTV) as well to share about the products we carry. Q: Spiffies oral wipes and Belly Armor anti-radiation are your two other products. What made you decide to carry these products? What is your new product criteria? A: My eldest sister, who sells aesthetic machines to dermatologists, knew she was often exposed to ambient radiation. Because she still needed to run the business, her husband looked for a solution to help protect the baby. He came across a Belly Armor anti-radiation blanket while on a business trip abroad and bought one for her. We decided to distribute Belly Armor because there is no other product like it in the world. There are so many working moms now who are constantly exposed to radiation and they have no idea how much this impacts their unborn or even newborn babies. Several studies worldwide have already shown that constant exposure to cellphones, laptops, WiFi, and the likes could lead to behavioral and developmental problems among children. In fact, the World Health Organization has already categorized cellphone radiation at the same level as lead and engine exhaust in terms of the probability of link to cancer. At the same time, there was no good oral care product for babies below 1 year old. My sisters were asked to just clean their babies’ mouths with a piece of gauze or cloth dipped in water. This is a standard practice in the Philippines, despite many moms worrying about how to deal with babies who doze off right after milk time. This habit of sleeping with bottles in the mouth is also often carried well into the first few years of a toddler, causing teeth to rot. We researched on what the Western culture did to clean their little one’s teeth at a very young age and stumbled upon Spiffies! Spiffies main ingredient is Xylitol, an all-natural birch tree extract which is proven to fight cavities and tooth decay. This is safe to be swallowed by infants unlike fluoride, which can possibly lead to dental fluorosis. My new product criteria are: must address the health and wellness of babies (eg. encourages continued breastfeeding, radiation protection, infant oral health), must be backed by science not fluff, must be of high quality, must be tested and highly recommended by moms in other countries, and must be useful for modern working moms. Q: You launched an advocacy. When should start-ups be involved in advocacies and what kind of advocacies should they be involved in? A: Ever since, I didn’t want to have a business just to earn money. I always knew I wanted my business to have a social impact whether big or small. For me, it’s never too early to start because the financial cost of launching an advocacy doesn’t have to be a lot. You just have to know how you can leverage and synergize with other like-minded companies (like The Parenting Emporium, in our case). You have to believe in it so much that you’re willing to do the legwork yourself and make things happen even when operational challenges come up. For me, doing the breastmilk collection to help other moms just made sense. I have been researching so much on the benefits and the struggles of breastfeeding because of the business, and I didn’t have to stray far from that to be able to help. Start-ups should ideally focus on categories they know best already for their advocacies so they know the need gaps and who to tap already. Q: You worked as a Key Account Manager of Unilever for Rustan's and Royal Duty Free. Prior to this, you handled Waltermart. What did you learn from your previous jobs that you are able to apply in Crescom? A: Looking back, I realized that my previous jobs have also helped me a lot in managing a business of my own. My sales experience in Unilever has taught me a lot about relationship management and negotiations with retailers—I know what is realistic and not realistic to ask from account buyers. Being customer-focused and understanding the power of brand tie-ups based on my Unilever experience also helped me a lot when I come up with promotions and initiate partnerships. For complete transcript as well as interviews with other thoughtleaders, please log on to www.josiahgo.com. JOSIAH GO is the chairman of Day 8 Business Academy for SMEs and Waters Philippines.